Perception is Reality…Or is it? 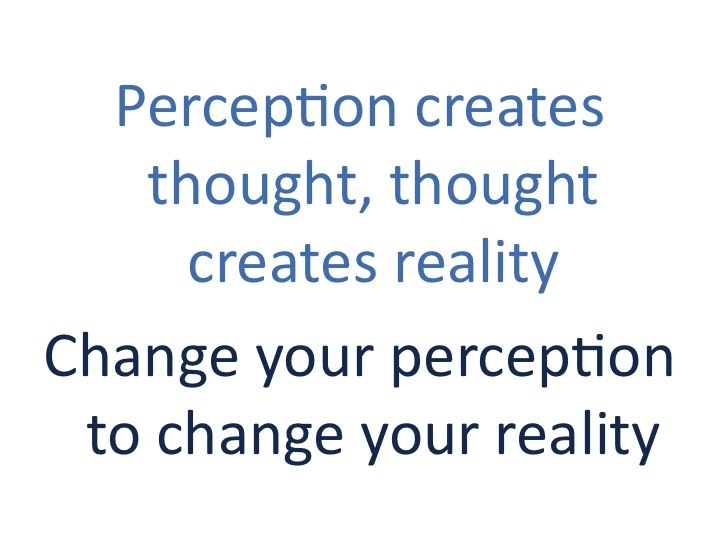 I love the concept of changing our perception by changing our thoughts and how that can affect our reality. The problem is that I am not good at remembering to use this idea this when I’m stressed, struggling and/or just plain down on myself. In my last post, I talked about how pricing in the shop will give people a perception about my work. That should also include how I value my work. I’m a perfectionist and am way too hard on myself. People will tell me a project I have done is great or nice or whatever and all I see is the places it didn’t turn out the way I wanted it to. I’ve always seen myself as being humble, but recently I’ve begun accepting the fact that I have zero self confidence or self worth. That’s not healthy. So I need to make changes to my perception in order to enjoy MY personal reality. Which in turn makes the people around me happier. WIN! For starters, I have challenged myself (and my BFF) to record daily happiness. Not publicly, but still with a focus on the honest good in life. Having the accountability partner will help me stay on track, and we can talk through the bad days when you don’t want to see the good in front of you. I’m also telling you, lovely readers, that I accept your kind words about the shop and my work and will acknowledge that if you’re even reading this post, I have some worth. Maybe it’ll even make your day to know you make mine! Entrepreneurs have to be self motivators and while I’ve been motivated to create a professional and successful shop, I haven’t been motivated to FEEL the success. A year into this venture is a late start, but it’s better than never! Do you have self image or self worth issues? I think we all do to some extent, but if you’re like me and they’re affecting your work – join us! Let’s log our daily happiness together! This entry was posted in Personal and tagged personal, self help, self improvement. Bookmark the permalink.